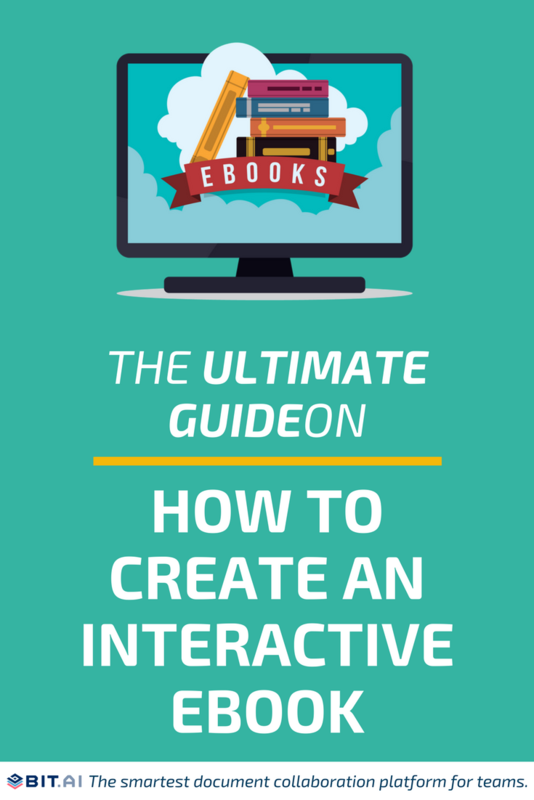 Learn how to create an interactive Ebook and stand out from everything else out there! Ebooks have come a long way since the Kindle was first launched back in 2007. Earlier, an ebook was simply the electronic version of its printed counterpart. However, marketers quickly found a way to create PDF-styled ebooks and use them as lead generating magnets. For marketers, an ebook is an opportunity to provide in-depth and quality insight into an area of expertise, build trust and credibility amongst their target audience, and most importantly to generate new leads. A whopping 38% of content marketer consider ebooks as their most critical tactic for content marketing and lead generation. What’s even better is that consumers don’t mind giving up their email addresses for these ebooks as according to ImpactBND, 80 percent of users said they’d provide their email for a white paper or ebook. Consumers clearly find ebooks to be informative and useful as they happily make that trade with marketers. However, therein lies the problem. Ebooks have become increasingly popular and easy to write that everyone is doing it. What’s worse is that every ebook looks the same! There’s not much difference from your ebook and everyone elses in the way that it looks. Just replace the text and images and everything in your ebooks will feel the same as it has over the last decade. Now I know what you’re thinking, but hey my writing and content is interesting and that’s what makes me standout! Well with fast paced digital world, attention spans are shortening. In fact, the average attention span is down from 12 seconds in the year 2000 to eight seconds now. You have to do something unique to differentiate yourself and engage your audience. As modern-day marketers, you cannot expect to close more deals, get more customers, or generate new leads if you keep doing what everyone else is doing. Ebooks desperately need a re-incarnation. This is where an interactive ebook comes in. Oh, I know your marketing brain is cranking right now! The ideas are limitless as to what you can do with these features! These elements allow marketers and content creators to create a reading experience for their audience that is unmatched and on par with their other digital interactions, like that on websites and social media. Let’s just come out and agree that ebooks have become boring. The format hasn’t changed in a long time, it still incorporates the majority of text with little imagery in between, and it’s not interactive. People, however, expect more from content nowadays, thanks to social media. They simply aren’t going to devote their time downloading and reading a pretty dull piece of information when they are constantly being lured towards more interesting and interactive content online. Teens now spend up to nine hours a day on social platforms, while 30% of all time spent online is now allocated to social media interaction. With so much time being dedicated by people on social media and engaging internet content, how do marketers expect to grab attention with a boring ebook that looks and reads like everything else out there? 89% of current marketers are focused on creating more high-quality and engaging content over the next 12 months. According to Ion Interactive, 70% of marketers say that interactive content is effective at converting site visitors. 93% of marketers agreed that interactive content is effective in educating its buyers. Even though marketers are moving towards more interactive content to keep consumers engaged, creating interactive ebooks is still a nascent idea. That means, low competition and high opportunity for you! COOL! I WANT TO CREATE AN INTERACTIVE EBOOK. BUT HOW? PDFs have been around since the 90’s. Not much has changed in the way they look and read. Content marketers often make the mistake of creating and publishing their ebook the same way they’ve been doing with static PDFs. They put in a lot of text (yawn), add a couple of images, put up a table of contents at the beginning and boom! Your boring ebook is ready. If you want to create fun, engaging and interactive ebooks that people actually want to read, you need to let go of the good ole PDF and embrace something new, visually appealing and dynamic. You cannot track a PDF. Gathering engagement data is extremely useful for a business looking to create great marketing and sales material for lead generation. With such data, marketers and sales teams can make better-informed decisions on the content they are sharing. They can improve on their shortcomings and double down on the things that work well. With engagement metrics, you can see what changes you need to make to create a more appealing ebook. However, since ebooks are usually distributed in a PDF format, It’s difficult to get such data. You never know whether someone has opened your ebook, how much time they spent, how often they reviewed it, how far they scrolled, etc. Unfortunately, PDFs just don’t help you track these type of engagement levels. Ebooks are usually distributed with a lead capture form to get email addresses of prospects in exchange for the information you’re giving in the ebook. However, once downloaded by a user, it can be distributed easily, without your consent. Your PDF can be emailed and shared with anyone. Businesses end up losing out on leads because there’s no way to prevent duplicity or further distribution of an ebook PDF. SO, ARE YOU SAYING I’M STUCK WITH MY BORING EBOOK FOREVER? Nope! No need to panic and worry. We have a great solution that will help you create interactive, trackable ebooks that will make you stand out from the crowd and generate tons of new leads! 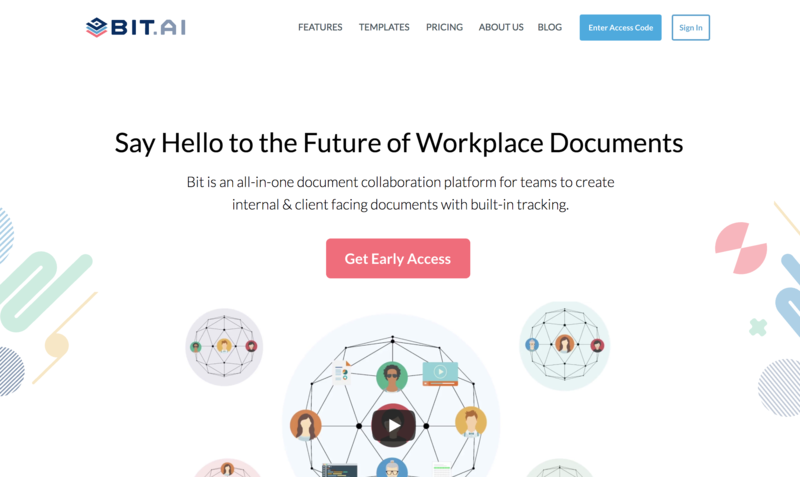 Bit is a new age cloud-based document collaboration tool that helps teams create, manage, and track workplace documents. Yes, that includes ebooks! Bit documents come alive and help you share documents like ebooks that are more than just plain boring text. You can add rich media like YouTube videos, Google Docs, One Drive, Excel Spreadsheets, SlideShares, social media posts, etc. Basically, anything on the internet with a link (i.e. https://example.com) can be shared and Bit will automatically turn it into visual content. With Bit, you can add code blocks, math equations, add files that can be downloaded by your audience, GIFs and more! You can collaborate in real-time with multiple team members as you fine tune your ebook and get it just right. You can bring in your copywriters, editors, designers, creative heads, etc. all in one central workspace and work with their valuable feedback and suggestions. You can add comments to your document and they trigger real-time notifications bringing your audience to the exact spot in the document that needs to be discussed. You and your team will save valuable time collaborating together! Bit also has an automated table of contents based on the headers you add to your ebook. It’s a fast way to scroll to different sections of your ebook as a creator, collaborator, and for your audience viewing the final published ebook! Once you’re satisfied with your ebook and are ready to share it, you can create a trackable link. Your trackable link once shared will provide you with information on how often it’s viewed, how far it was scrolled, how much time was spent on it, etc. Bit also gives you the ability to share multiple trackable links for audiences you want to track. 1. You can create an interactive and never seen before ebook! In this digital age, you need more than just text to tell your story in a compelling manner. An ebook in PDF format is static and can only incorporate text and images. Since ebooks are long-form content, having to read so much text can be dull and ineffective. This is why we empower you to add any type of rich media content, like YouTube videos, Google Docs Spreadsheets, PDFs, presentations, Spotify playlists, SlideShares, GIFs, Polls and Quizzes etc. With Bit, you can create smart ebooks by incorporating hundreds of file types and making it dynamic and interactive. 2. You can track your ebooks! Once you are done creating your interactive ebook, you can send it to your prospects with a unique trackable link. You can then gather real-time insights to understand how users interact with your content, how much time they spent on it, how often they have returned to it and how far through the Bit ebook they scrolled, along with other great engagement metrics. Take that, PDF! 3. Capture leads like a boss! The purpose of marketing ebooks is to generate new leads via the lead capture form. With Bit, you can attach a lead capture form to every ebook or any other workplace document you create. This allows you to collect your audience’s information (name, company, job title, email, phone number, etc.) before they view your Bit ebook. Since Bit ebooks are only available through a weblink and live on the cloud, they can’t be downloaded onto your PC like PDFs can be. When one user tries to share the document with another user, they will have to fill out their information prior to viewing the ebook. Like a boss indeed! 4. Get help creating ebooks with real-time collaboration. Creating an interactive ebook takes far more time than writing a short form blog post. You have to research content, come up with an outline, add awesome visuals, and create an overall interactive experience for your users. Doing this amount of work alone can be pretty daunting and time consuming. Thus, Bit allows you to work with your peers to get the ebook published as quickly as you can. Working in teams also allows you to brainstorm ideas together and get your content and design people together in a single workplace. Bit allows teams to collaborate together, give real-time feedback, suggest changes and get work done quicker. 5. Password protect your ebook! You can also password protect your Bit ebook before sharing it. This allows only people to access it to whom you’ve given the password. You can update your password anytime and even disable it after it’s already been shared. Bit opens up so many new opportunities with its range of amazing features. Your ebook will look nothing like the other static, boring ebooks out there. Are you ready to enter a new world of awesomeness? In an always-connected world, where readers are drowning in content, our attention spans are getting shorter than ever. However, with so much good content out there, it’s not really much of a hard pill to swallow. There’s always something new and shiny, waiting for your attention. It’s clearly a challenge for marketers to keep up with the content quality and produce their absolute best work. And text-infused ebooks that look like they are from the 90’s are a strict NO. This is why Bit exists, to help you make your ebooks and other documents look and read like people expect them to be- visually appealing, high quality, and interactive. The question is, are you up for the challenge? Create your interactve Ebook today! Why You Need an Internal Knowledge Base for Your Company?